Sweden’s most popular automotive export has always had a certain reputation. A bit square, a bit safe, a bit… beige. And there was a time when that reputation was undoubtedly fair (Volvo 240 – I’m looking at you). But things have changed. The old 240 (and others) came from an era in the 1970s and early 1980s when Sweden wasn’t known for its design flair. Then of course, the IKEA concept really took off and things started changing. 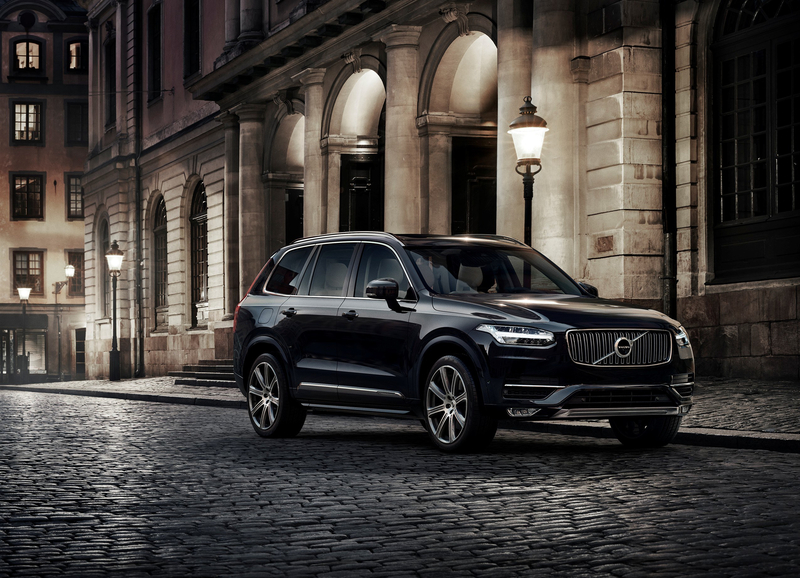 Volvo took a little bit of time (okay, a few decades) to catch up, but in my opinion, they now have – and they’ve done it with, well, style. There have been a few models in recent years that I’ve liked, and they always felt like a guilty pleasure… the car that you secretly like, but feel that you shouldn’t. The old XC90 was not one of them. It looked a little too generic, too box-like – easily mistakable for other large quasi-off road people carriers. But the latest incarnation of the range topping Swedish offering is different. It’s grown up and matured. And while it can still lug a load – people or furniture – it no longer looks, well, practical and beige; it looks good. Sleek, even, in its lines, and the interior is a genuinely nice place to be. Comfortable, plenty of gadgets and toys, with quality materials all around. What’s more, it wouldn’t look out of place in the car park of a well-to-do golf course. Good for the family, good for the ‘executive’ and good enough to overthrow the outdated reputation of square, box-like beige. So where did I take it? Where else… IKEA. I gave the car a thorough test throwing at it kids, shopping, flat-pack furniture, meatballs and even a night out (it was my birthday after all), and it performed admirably. In fact, that’s not fair. It performed brilliantly. The engine and gearbox were fantastic, the Volvo 8 speed automatic powertrain working to give a great power delivery with smooth, crisp gear changes from standing-start to the national speed limit. And speaking of the speed limit, this was my second experience of adaptive cruise control, after the Jeep I drove over the Easter break, and I was even more impressed with this one than the American offering. The key benefits were that this gadget would slow you to a stop and then remain ready until the traffic started. The Jeep unit would cut off after a few seconds, but the Volvo keeps watching and when the traffic moves off, so do you. Now while this was good, there was one piece of equipment that impressed even more. Volvo call it RSI – Road Sign Information. Now most built-in sat-nav systems display the current speed limit, but the RSI toy actually recognises road signs and displays the speed limit for the driver. The usefulness of this may not be immediately apparent, but think of when you’re on the motorway and there’s a temporary speed restriction. With RSI, this revised speed limit will be clearly shown on the heads up display. Equally useful on country roads when you don’t know the limit – its the little things that make the difference. And this XC90 was full of handy little things that made a difference. My overall verdict? Well if I was in the market for a large people carrier (and my budget would stretch to £60k) this top-spec XC90 would be close to the top of my list. In fact having said that, I’m not actually sure what would be higher, so right now, I think it’s safe to put this at the top of the list.